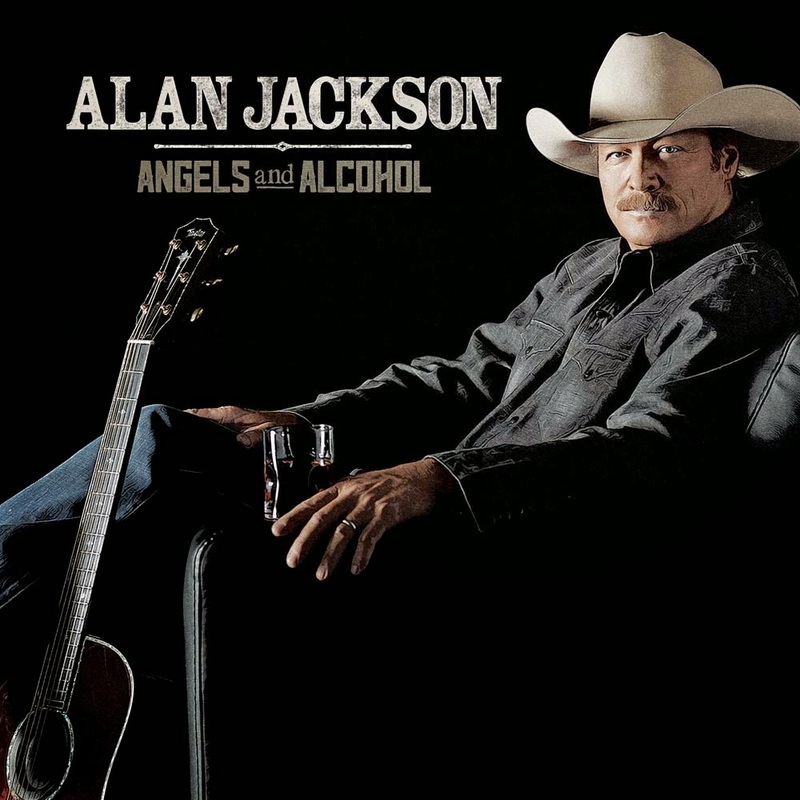 Discussions Magazine Music Blog: ALAN JACKSON/Angels And Alcohol: NEW album released July 17, 2015! ALAN JACKSON/Angels And Alcohol: NEW album released July 17, 2015! NASHVILLE, Tenn. (April 9, 2015) – Country superstar Alan Jackson will release, Angels and Alcohol, his first studio album in three years of all new music on Friday, July 17. Jackson wrote seven of the ten tracks on the album including the self-penned track. Angels and Alcohol, his 15th studio album, comes 25 years after his debut landmark album Here In The Real World. Since the release of Here In The Real World, Jackson has released 22 albums including two Christmas albums, two gospel albums, three Greatest Hits collections and a Bluegrass album which included standards and eight original songs written by Jackson. The new album was produced by Jackson’s long-time collaborator and friend Keith Stegall who has produced every one of Jackson’s 23 albums over the past 25 years with the exception of one album - Like Red On A Rose (Alison Krauss). Jackson brings his highly successful 25th Anniversary KEEPIN’ IT COUNTRY TOUR back to his hometown of Nashville, TN on Saturday, April 11 to a sold out crowd for the exclusive Tennessee performance. Jackson’s tour and the release of Angels and Alchohol is an extension of the already year-long 25th anniversary celebration which kicked off last summer with the opening of his exhibit at the Country Music Hall of Fame® and Museum, Alan Jackson: 25 Years of Keepin’ It Country, which has been extended by popular demand through June 21, 2015. The multi-platinum selling Grammy winner played two record-breaking sold out shows last October at the Country Music Hall of Fame’s CMA Theater making him the first simultaneous artist-in-residence and major museum exhibit subject. Alan Jackson’s 25th Anniversary KEEPIN’ IT COUNTRY TOUR, sponsored by Kubota Tractor Corporation, continues to be a memorable celebration for his longtime fans as well as legions of new fans who are discovering his music through the many songs that have withstood the test of time and influenced many new artists of today like the tour’s special guests Jon Pardi and Brandy Clark. Fans are hearing the songs they love from the man who wrote them and made them famous – from his massive debut hit, “Here In The Real World” to “Chattahoochee,” “Drive,” “Gone Country,” the summertime party-anthems “It’s Five O’Clock Somewhere” and “Good Time,” and many, many more.